Annabelle has had a pretty good couple of days!! They talked about sending her to the floor yesterday, but Mommy requested one more day in the ICU since Annabelle keeps having little issues, especially at night, and is still pretty junky in her lungs. This morning, they decided to keep her at least another 24 hours in the ICU because she is still junky, is still needing deep suctioned, and still keeps having issues at night. So maybe tomorrow?? And actually, she did it once during the day yesterday too. She’ll just break out into a cold sweat, but instead of running a fever, she gets very cold. She got as cold as 35.3C (which is about 95F). She gets super sleepy when she’s like that. And this is with a heating lamp, blankets and a “bear hugger” that is mean to warm them back up. Last night wasn’t as bad. she got down to 35.9C, but given those odd episodes coupled with some junky lungs… yeah, we’re just keeping an eye on her. And she is weaned to only a liter of O2 on her nasal canula… our hope is to be able to take oxygen OFF in the next day or so. 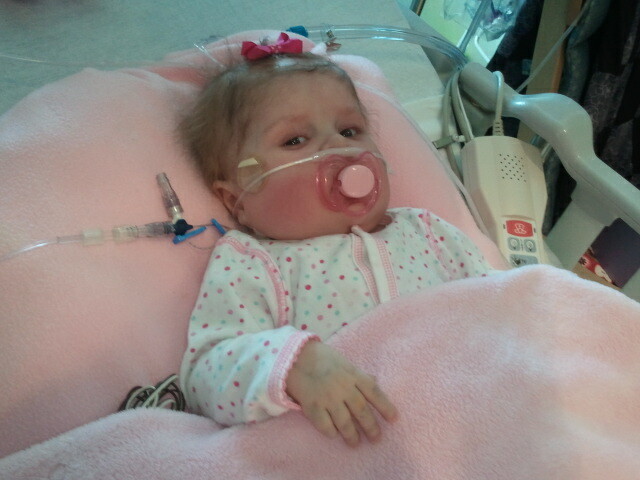 Annabelle is also off all IV drips… all her meds can be given via her Gtube now. The only thing she is still getting via her IV is her Lasix (makes her pee) but that will be transitioned to her Gtube at some point when we get her fluid balance corrected. Speaking of fluid balance… yesterday was fun! She was DRY! Like, really dry. Her eyes were sunken in, and she just looked pretty puny compared her previous, chunky self. She went from looking puffy to malnurished pretty fast! So we actually had to GIVE her fluid yesterday! A rare thing indeed! She’s sitting up some now, and is in much less pain too. Mommy LOVES to snuggle with her, and it is SO much easier because she has MUCH less things attached to her! I’m starting to think about going “home” which is SO SO exciting but I’ll be honest, it makes me nervous too. We have a “new” normal that is centered around the hospital, and as excited as I am to go home, I dunno. It’s hard to explain. It’s just a little overwhelming. There is a lot to do to get ready, and it’s going to be a big change for us. So please keep our family in your prayers. Both for Annabelle to get BETTER so she can go HOME, as well as for Scott and I as we prepare, for her sisters as they adjust to having their Mommy and Daddy home along with a baby in the house, and for all of us as we figure out med schedules, dr appointments, and just the whole craziness that is on the horizon. Please don’t think by my nervousness that I’m not thankful that we are leaving the hospital. It is time, and we are so excited. It’s just… overwhelming. And a little scary. But God reminded me the other day that He has brought us this far, and He hasn’t abandoned us now. Ya know, I’ve always rolled my eyes when I read in the bible about Moses and the Israelites, and how they complained everytime God didn’t “do” something for them. God had proved his mightiness to them time and time again… He’d freed them from slavery, and all they could do was complain about their circumstances and assume God had left them. I always though, HOW DUMB of them. Seriously??? They’d seen God part the red sea!! How dare they be so selfish and arrogant. It’s not like they had “asked” God for food, etc. They more just grumbled about not having it. I don’t want to be like that. 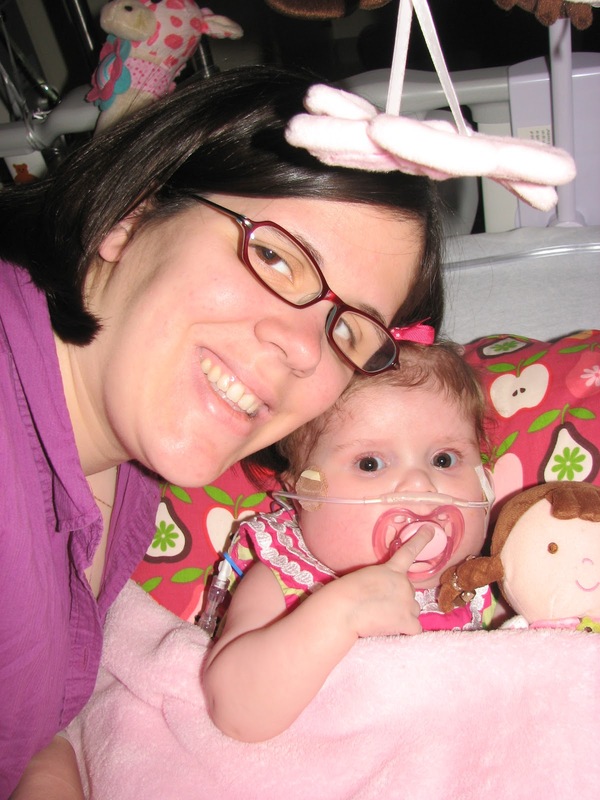 God has given us Annabelle, and has guided us through a very long nine months and been with us every step of the way. It hasn’t been easy, but HE has been so faithful to us. 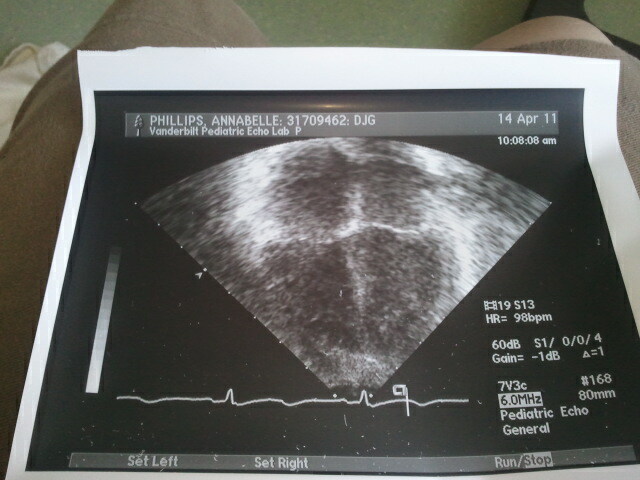 Now that Annabelle has her new heart, I dont’ want to start my belly-aching about all the things that are still unsure. One example: Annabelle has no voice at the moment. She coughs… but when she cries, it’s silent. And it scares me! What if she’s gotten her new heart, only to lose her voice? (When they do open heart surgery/put her on the vent, it is always a possibility that her vocal chords could be paralyzed…it is still early so they aren’t worried about it yet, but are keeping an eye on it.) I just REALLY want to hear her give out a big ole’ yell! There are many other things too, but I’m trying to remember that instead of grumbling about them, I need to lay my concerns before Jesus, knowing that he hears and cares, and trust HIM with the outcome. Annabelle’s new 4 chamber heart!!!! Wish I had a pic like this of before… suffice to say it would have looked VERY different! I love hearing the updates on Annabelle. She looks soooo good! She looks like she is doing really well, and I'm so thankful. Even with the issues, it seems like things are looking up. Oh, I was so hoping for a cute Annabelle photo today! You delivered! 🙂 The heart u/s is a beautiful sight, too. Krista– I have read your posts for months. I just can't contain myself, I am so excited and in awe of how good she looks in these pics. HER PINK CHEEKS ARE BEAUTIFUL!! Thank you for sharing this journey with all of us close followers and prayer warriors of Annabelle and the rest of your family. I too faithfully believe that God is in control, and am thankful for the hope and comfort that this brings! Sending many hugs for courage, strength and comfort!!!! What cute photos! Thank you for the update! She's SO PRETTY!!! 🙂 I, too, love the pink cheeks! I bet if you ask for a copy of an echo pic from before, they'll get you one. Oh, and I love what Sherrinda said about living sacrifices crawling off the altar! That's awesome! Cick me to see Annabelle smiling!!! Oh my, she looks so wonderful! I'm sure it's all a bit scary but you have come this far with God's help and he won't leave it at that. And you've done great so far!!! Annabelle looks so cute! I love those pink cheeks! And she does look less puffy. I'm glad to hear she's doing pretty well, but I'll keep praying for her to get well quickly! I'm so glad things are going well. She looks wonderful. We're praying about all the issues you brought up. The jitters about having a loved one come home are perfectly normal. It's a whole new routine for you and your family. Definitely will be praying for these 'hiccups' to level out and also for your family as you prepare for a big transition to home life. Krista, I had no idea what's been going on with your family since I've been off twitter and blogging for a while! I have a lot of catching up to do, but so thankful for her transplant and I will be praying! Thank you for talking about grumbling…I have been grumbling a lot lately and God has been so good to my family. I sometimes need a reality check! I am so glad to hear Annabell is doing well-my son and I pray for her every night. It is scary going home after the hospital has been home for so long-however, you will soon love being home with your family. Blessings! Hi Krista… thanks for the updates, indeed Annabelle looks different but she looks amazing on the video when she is smiling. I totally understand your feelings about going home and I believe that is very normal emotion. We will continue to pray for sweet baby Annabelle and your family as you prepare for some big positive steps! Keep warm Annabelle! Thanks so much for sharing, Krista. Annabelle looks so precious! You have made so many changes in your life this past several months and I know there are a lot more to come. We will pray for you, Annabelle, Scott and your other 3 girls as you adjust to the "new normal". Krista – I stumbled upon your blog after following Bowens Heart! I am in awe of your strength and faith! Annabelle is absolutely precious and I am so thrilled that she has finally recieved her heart 🙂 I will continue to follow her steps through your blog and pray daily for your family and that God will continue to bless you in BIG ways! Have they checked her blood sugar when she breaks out in that cold sweat and is lethargic? She is looking great! Praise God! Krista, You are so strong! I love your honesty, and through your thought process about all you're going through, your faith shines! Thanks for sharing this journey. I think of you all daily. I agree with all these Blogs. 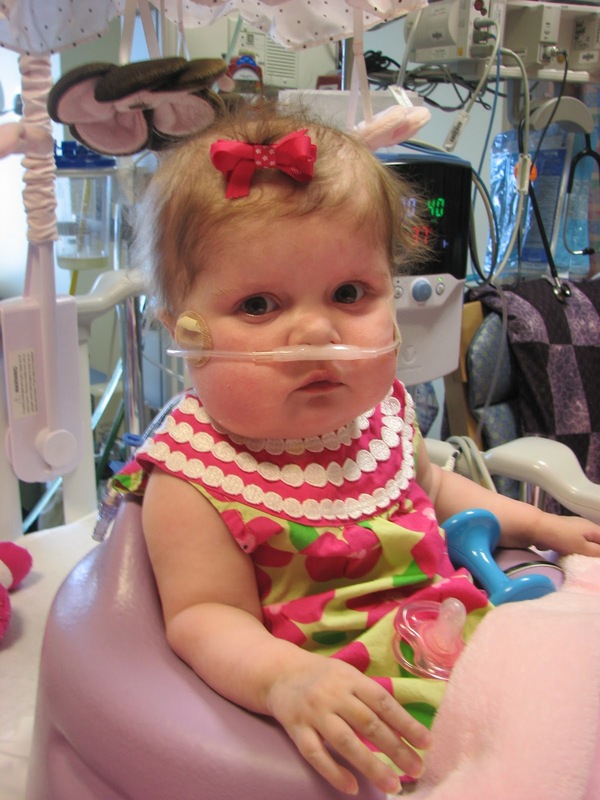 to hear everyones heart for Annabelle and her wonderful familys heart. Brought me to happy tears. Blessings to all. Continueing to lift Annabelle. loved to see her updates. Thank you for taking the time to share. I'm praying and hanging on every word, Krista. God bless you all. I'm continually lifting Annabelle before the throne, Krista! !